Strong ties to Chicago artists like Kermit Chandler and Pete Cozy, who has played with the great Miles Davis, are an important part in the development of Chris Chandler’s creative foundation. His journey through music landed him in New York City, where he established a great relationship with Kirk Yano studio owner, engineer, and guitarist. Through that relationship, he teamed up with The Beatnuts and honed his writing and vocal skills on four of their studio albums! Writing and singing hooks for Rawkus Records along with his collaboration with MBK Entertainment furthered Chandler’s skills and brought to life the journey of his musical career. Now, his live performances have left viewers and fans wanting more. He has since decided to get into the studio with a very talented group of musicians to create a soulfully organic sound that has become his most recent album, A Different Look. Blending genres together in a way that speaks to the soul is clear in Chandler’s clip “Where Were U.” Known as his best work to date, the video gives listeners an inside look at the depth of this singer, songwriter, and producer. 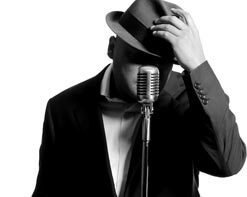 Telling a sincere tale and singing his heart out, Chris Chandler presents his natural niche for his craft. His classic style and soulful melodies make his songs all the more enjoyable, and “Where Were U” is a noteworthy response to the soul this artist has. Chris Chandler is the remedy for those looking for new music and we are very excited to bring you his new video! His ability to blend different genres makes him stand out as an artist. For more information on this exciting new musician, please contact Andy Gesner and the HIP Video Promo staff at (732)-613-1779 or email us at info@HIPVideoPromo.com . You can also visit www.Chris-Chandler.net/ for more info.